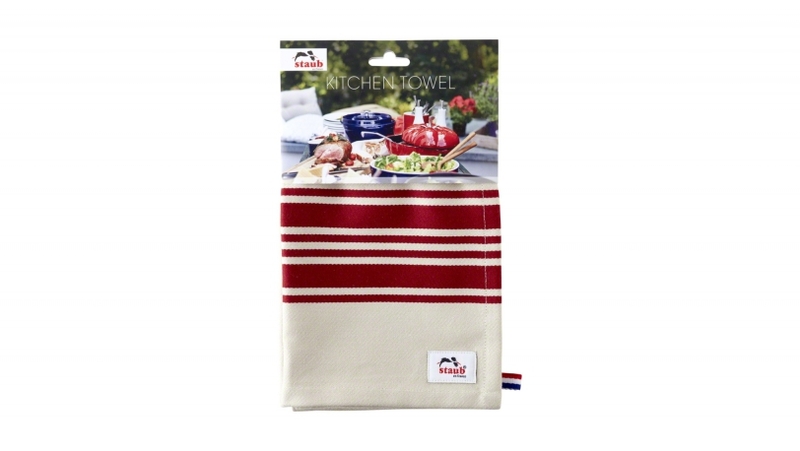 Durable and absorbent tea towel with red stripes and the distinctive Staub logo. Care Instructions - machine wash max. 60c. Do not bleach. Cool tumble dry. Do not dry clean.